How do you get your online store to stand out against a sea of similar websites? Luckily there are a few ways that you can get people to take notice of your storefront while ignoring a competitor’s. Here are a handful of simple tips that can make your product pages more engaging. Assuming that you’ve gathered the analytical data you need from sales and trends on your store, you should be able to identify which products are the most popular. Odds are good that when a new customer comes to your page, they’ll be interested in those products. Help them find the items more easily by putting them at the top of your product pages. Your goal in designing your product pages should be to make sure that your customers can find all the information they need as easily as possible. Focus on clean visuals with large pictures and complementary colors. Place essential information, such as price and product details, next to those images so customers can find them without doing a lot of looking around. If somebody is interested in buying a product, they usually want to see it from more than one angle. Provide a slideshow of product pictures, all professionally taken, the customers can scroll through. This gives them an assurance that the item they purchase is indeed what they want. Use facts when you write your product descriptions, but don’t let those facts become too dry and boring. Make sure to emphasize how the customer can use the product and the way it will make them feel. Using action words and calls to emotion is an effective way to sell a product. You should keep most product information short and sweet. However, if something has a lot of different features, make sure to break the description into subheadings. This allows customers to look for the exact information they want with ease. It also keeps your presentation clear and concise. Product reviews are absolutely essential to improving your store’s visibility in search engines while providing credibility. Make sure that the most useful product reviews get highlighted, either near the top of the reviews section on a product page or even as a small blurb under the product description. If you’re selling a bicycle tire, putting it against a white backdrop does create a clean picture, but it doesn’t show the customer how that tire would be used. Virtually every product has an expected method of use. Putting up product images that highlight it being used improves customer engagement. Does the product you are trying to sell have an interesting video or tutorial to go along with it? Offer that in the product image gallery. This gives you a chance to get more advertising and information in without forcing customers to do a lot more reading. Is your product on sale for a limited time or severely discounted due to a promotion? If so, make sure that customers realize that. Put a slash through the original price and list not only the discount, but how much they save. Customers love deals, but they’ll only realize they’re getting one if you let them know. 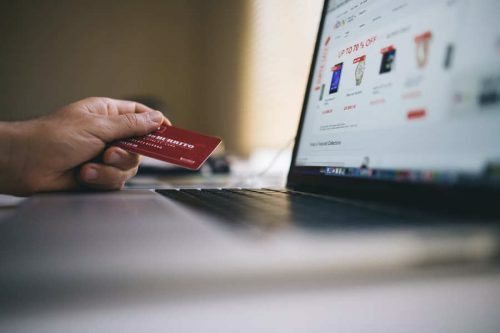 If a certain discount is only available for a limited time or an item has to be ordered by a certain date in order to arrive before a holiday, highlight that fact. A well-placed countdown clock can make customers feel as though they need to act quickly in order to take advantage of what they see on your product page. If your product description risks running too long, bullet points can help you break things up into easily digestible bits of information. Break each major selling point into its own bullet point, then provide those highlighted items at the beginning of the product description. Converting traffic into sales often comes down to a matter of customer interest and engagement. By using the tips listed above to help spruce up your product pages, you can improve interest and excitement from your audience. This helps you turn a visitor into a buyer.